Rev. George William Parker age 87 years of Bedford passed away peacefully on December 11, 2016 at the Abby Lane Hospital in Halifax. 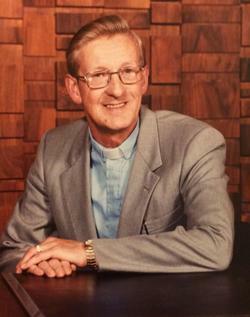 One of the founders of Integrity, the Anglican LGBT group, in the early 2000s. George hosted many summer OverThirtiesGroup parties at his home in Greenhill, Hants County. One of the highlights of the occasion was a walk back in the woods to a lovely waterfalls... to occasionally partake in a skinny dip! Funeral service will be held 1:00pm on Monday December 19, 2016, 2016 at Saint Francis by the Lakes Anglican Church, 192 First Lake Drive in Lower Sackville. A reception will follow service in the church hall. Complete obituary will be posted soon.